Maine Democrats are pushing legislation to allow qualified advanced practice clinicians such as nurse practitioners, physician assistants, and certified nurse-midwives to provide abortions. 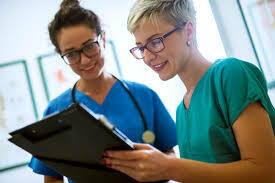 Scores of nurses across the United States are equipped to provide abortion services. Maine’s ban on non-physicians providing abortion care may soon be scrapped thanks to a bill introduced by Democratic House Speaker Sara Gideon and Gov. Janet Mills (D-Freeport). Announced Thursday, LD 1261 would allow qualified advanced practice clinicians (APCs) such as nurse practitioners, physician assistants, and certified nurse-midwives to provide abortion care. “Physician-only” laws are among the barriers aimed at curbing access to abortion; Maine’s physician-only law leaves only three publicly accessible health centers where patients can receive in-clinic abortion care—in Augusta, Bangor, and Portland. Patients in rural areas often travel hours for care even though there are qualified, experienced practitioners in their own communities. Such restrictions particularly affect people who already face systemic barriers to health care, including those with low incomes, people of color, and young people. Mills introduced a similar bill last year when she was attorney general. Advocates are hopeful it will pass now that the state has a pro-choice governor and Democratic legislative majorities. This could be significant in the underserved state, said Alison Bates, a nurse practitioner (NP) in Maine with Planned Parenthood of Northern New England. If someone comes to her clinic seeking an abortion, Bates said she’s forced to turn them away, as per state law, because she has an NP and not an MD after her name. Yet scores of nurses across the United States are equipped to provide abortion services. Laws that prevent qualified nurses from providing such care have been challenged by providers in a handful of states, including in Maine. The American Civil Liberties Union (ACLU) and Planned Parenthood filed a federal lawsuit in 2017 challenging the Maine ban on behalf of Planned Parenthood of Northern New England, Maine Family Planning, and several nurse practitioners. Bates is a plaintiff in the case, which is pending in the U.S. Court for the District of Maine. Maine lawmakers in 1979 passed a law allowing only physicians to provide abortions. The law was drafted to protect women from back-alley abortions but has not kept pace with technology and practitioner abilities, according to Planned Parenthood. Maine is one of ten states facing lawsuits to eliminate “physicians-only” laws, ThinkProgress reported. Thirty-three states bar advanced practice clinicians from providing abortion care. The American College of Obstetricians and Gynecologists and the World Health Organization support allowing APCs to perform abortions in early pregnancy. Advocates are hopeful the bill will pass. Hearings are expected to be held in April. “For patients and families in Maine, this is a huge gain towards de-stigmatizing abortion and making accessible and feasible holistic and comprehensive reproductive health care. It would be a remarkable success for the state of Maine,” Bates said. This sort of thing happens when there’s an intelligent governor and a liberal legislature.